Social mobility is fundamentally about equality of opportunity, but Britain is a country where opportunity is not spread evenly. This matters more than ever because, as we stand on the precipice of the fourth industrial revolution, there is likely to be a hollowing out of some of the job opportunities we take for granted today. The right response is to embrace technology and make Britain the best place in the world to start and grow a tech business, supported by an education system tuned in to Britain’s future and producing a skilled workforce to meet future demand. Although technology can be a powerful force for good, it is often feared or perhaps more accurately, misunderstood. Our research shows almost a third of British workers fear their jobs will be replaced by robots within five to 10 years. This fear is at its highest among younger workers, as the advance of artificial intelligence into the workplace gathers pace. Older workers and the self-employed feel least threatened by the rise of the robots, meanwhile. Of the 2,000 UK workers we questioned, 29 per cent said they fear technology will take their job in the next five to 10 years. This rises to 34 per cent for 18 to 24-year-olds and 38 per cent for workers aged 25 to 34. People nearing retirement age were less worried about their roles, with 16 per cent of workers aged 55 and over citing concerns. 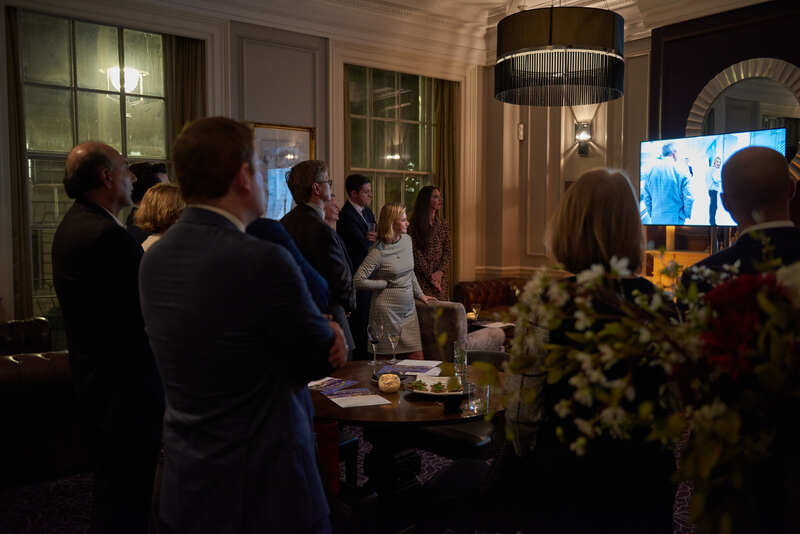 At the Harrison Centre, we believe the looming 4th Industrial Revolution – in which automation will be a major part – makes social mobility more important than ever and it was a major discussion point at an event we hosted in Westminster in October. Attendees included Viscount Matt Ridley who writes authoritatively on this topic and Lord John Bird (pictured with Harrison Centre founder David Harrison) who established the Big Issue to spread opportunity more widely. Other guests included our colleagues from the Beacon of Light in Sunderland who are making a big impact on life chances in some of the most disadvantaged parts of the North East, and Justine Greening MP, who co-founded the national Social Mobility Pledge with our chairman, David Harrison. As we approach the first anniversary of the Harrison Centre, we can look back on a great deal of progress in year 1. We have donated over £150,000 to local charities working predominantly with young people in the North East. We now have an established learning facility at the Beacon of Light teaching the academic and business skills needed to thrive in the 4th Industrial Revolution. And, of course, we have co-founded the Social Mobility Pledge, which now covers over one million employees.